#SwissHackingTeam with Atenas, Fred, Sabrine and Yanina. Still today, 815 Million people on the planet are hungry or undernourished, a number that is likely going to rise to 2 Billion people in 2050 (data by UN and FAO). This is why the 2nd of 17 sustainable development goals to transform our world by the United Nations is “Zero Hunger”. 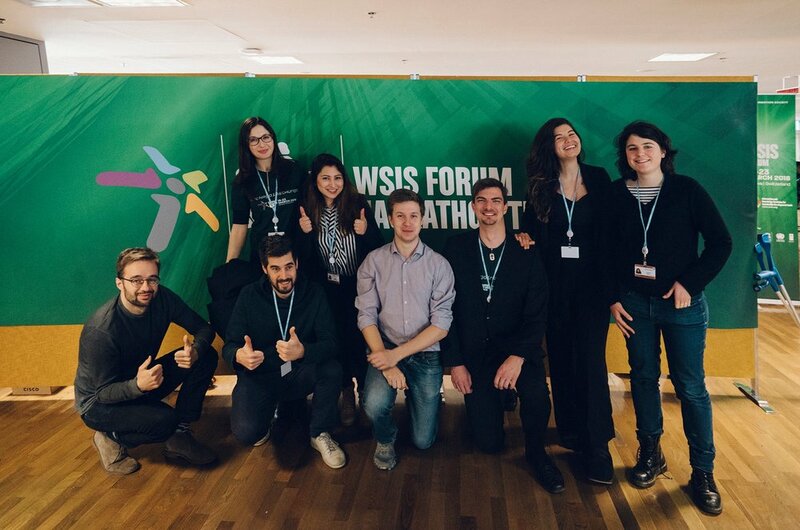 For the international hackathon 15 teams from all over the world were invited to Geneva to work on ground-breaking ideas – including the #SwissHackingTeam. The #SwissHackingTeam’s idea was an application that supports farmers by choosing the ideal crop for their soil quality and climate zone. As a case for this hackathon a region in Kenya was chosen, where EMAUA a local organisation works on developing and spreading knowledge based on the use of local, free resources. Its main focus are food, access to health care and reforestation (for more information see emaua.org). The conceptualised app “CropAdvisor” could help EMAUA to reach out to more small-holder farmers, at the same time, improving the crop quality and, in the long term, help tackling hunger in the region.